Is the American Dream of homeownership still possible in California? Housing is a hot topic in commercial real estate, the public and among politicians in the second half of the year. United Ways of California released a report that measured the real cost of living in California, taking into account the actual cost of living in different parts of the state in terms of housing, food, m­­­edical care, transportation and other obligations. The report cites the high cost of housing as a major burden for some households, with many struggling families paying more than 50 percent of their incomes toward housing costs. Here is a look at five factors at play in the region’s housing market. 1. One out of five counties has a median income that qualifies for a home loan. The latest data from the California Association of Realtors’ Housing Affordability index suggests that only one out of five Southern California counties has a median household income that meets qualifying threshold for a loan on a median priced home in that county. The minimum qualifying income to purchase the median priced home in a county compared to the median household income in that county. San Bernardino is the only county that has a median income that meets the minimum to purchase a home. San Bernardino County residents earning the median income meet the loan qualification threshold as of 1Q 2018 data. Southern California’s high housing costs are nothing new, but the shocking disparity between the median household income and the minimum qualifying income in most areas suggests the issues of housing affordability will continue to impact the region for the foreseeable future. For now, those set on owning may want to look toward the Inland Empire for more affordable options. 2. Median home prices in Southern California have been on the rise for the last six years. Southern California home prices plummeted between mid-2007 and 2009 as a result of the economic downturn. After reaching a peak in 2007, home prices tumbled, falling approximately 49% in Los Angeles County, 31% in Orange County, 51% in Riverside, 60% in San Bernardino and 54% in Ventura by mid-2011. Since the recovery began, the median home price in counties across Southern California has been rising. Home values in all five counties more than recovered the value lost in the crash. In both Riverside and San Bernardino Counties the median home prices has more than doubled in six years. Los Angeles, Orange and Ventura Counties, which tend to have higher home prices in general, saw slightly lower but still very significant increases in the median price. 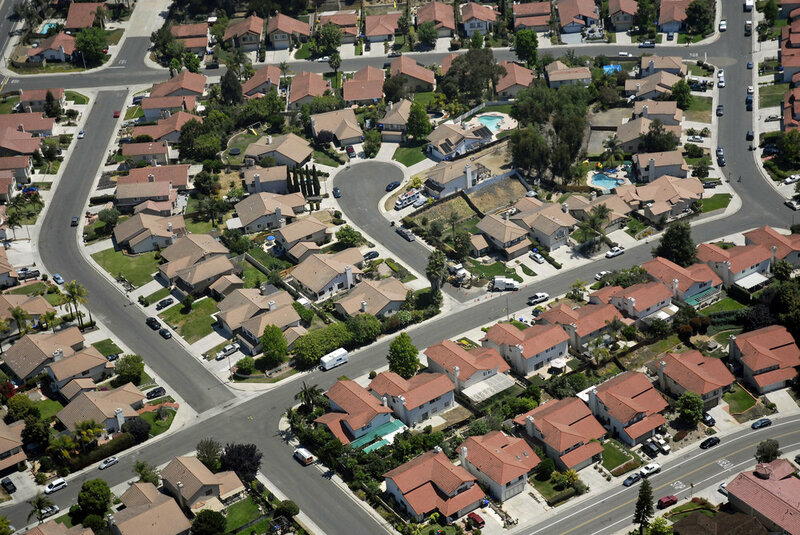 The single-family housing market has a significant influence on multifamily housing. As supply and affordability of single-family residences decreases, fewer renters can move out of apartment units into homes. These would-be homeowners remain in their units for longer, or perhaps even permanently, straining an already tight multifamily market. The result is a steadily declining vacancy rate accompanied by increasing average asking rent, a trend seen in each Southern California market since economic recovery began. Asking rent has consistently grown on an annual basis in each of the four Southern California markets since roughly 2010. This cycle produced the highest average asking rents on record with a growth rate ranging between 34% and 42% over eight years. This is good news for landlords, who can expect to see strong rental income for the foreseeable future; however, the rate of rent growth may be slowing. Class A rent across Southern California reached $2,531/ unit in 2Q 2018, a 2.4% increase over 2Q 2017. Rents are still trending upward, but the growth rate is noticeably lower than the 4% to7% range seen between 3Q 2012 and 1Q 2016. Meanwhile, Class B buildings saw 3.7% year over year growth in 2Q 2018 and Class C grew 3.4%. Demand for moderately priced units strongly outpaces supply, driving increased rental rates in these buildings. Despite findings that more people left California than moved in from 2007 and 2016, overall population in the Golden State is rising. Demand for housing is driven by population growth, which is encouraged by the birthrate and the strength of the economy. Unemployment is extremely low throughout Southern California, with many areas seeing near full employment. Job opportunities throughout the region attracted many to the area, and the population is expected to continue growing. Los Angeles County alone is projected to add an additional 1 million residents within the next two decades, according to a forecast from the Southern California Association of Governments. Demand heavily outpaces supply, spurring a decline in the multifamily vacancy rate, which is very low across the region. Vacancy ranged between 3.6% and 4.6% as of 2Q 2018, which is in turn driving up the average asking rental rate. As the population continues to grow, expect the housing supply to remain limited and costly. Lack of sufficient deliveries is one part of the housing problem, but construction costs limit the type of projects feasible. The rising cost of land, building materials and labor make it so that developers are unable to generate a return on investment for moderately priced multifamily units. Developers are responding to the rising costs by delivering luxury product with a corresponding price tag. New multifamily construction is overwhelmingly geared toward Class A units, which remain out of reach for much of the renting population. Without adequate supply of affordable housing units, whether they are single family or multifamily, the cost of housing will continue to increase for the foreseeable future. For more information or to see details of a specific market, check out our Multifamily Market Outlook reports. In this article we refer to Southern California as Los Angeles, Orange, Riverside, San Bernardino and Ventura Counties.